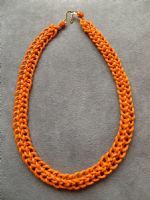 Various styles of knotted necklaces made with cotton cord which are available in a selection of lengths and colours. 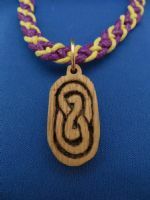 Selection of carved pendants with various knotwork designs. 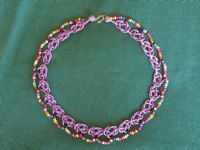 Knotted necklace with strings of coloured beads. 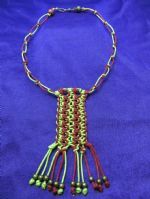 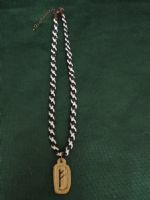 Necklace with two types of knotting and tassels. 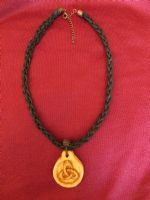 Necklace with carved wood pendant.